Michael was appointed to Attorney General’s Regional Panel, and between 2007 and 2012 undertook civil work, both advocacy and advisory, for all Government departments. He is instructed to advise and appear in a range of civil matters and regularly appears in fast track and multi track hearings and applications as well as mediations. He has appeared in courts up to and including the Court of Appeal. For more information please see his specialist profiles. Although Michael’s practice is predominantly based on the Western Circuit, he is frequently instructed in disputes across the country and undertakes cases nationwide. Michael won a major scholarship at the Middle Temple and was a member of the mooting team that won the Middle Temple mooting cup in 2002. 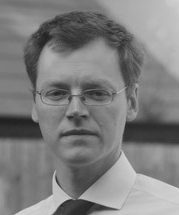 Michael also represented the Middle Temple mooting team in Hong Kong and the Far East in 2003 and California in 2002. Michael undertakes a number of pro bono cases each year. He has set up links with local CAB offices and undertakes both advisory work and advocacy in suitable cases. As part of his pro bono work, Michael has taken part in legal projects in both Sierra Leone and Rwanda. He has also led mediation training sessions in both Sierra Leone and Rwanda. Law Society v Claire Louise Wilson  EWHC 1022 (Admin); LTL 19/5/2006.